First of Seven Sabbaths of Consolation: Following Tisha b’Av, there are seven prophetic readings of consolation – all from Isaiah – that comfort us after the Black Fast and prepare us, emotionally and spiritually, for the upcoming High Holidays. In case you don’t remember (or have never has vishalom seen the movie), TTYD! is a 1996 musical comedy that was written and directed by Tom Hanks. 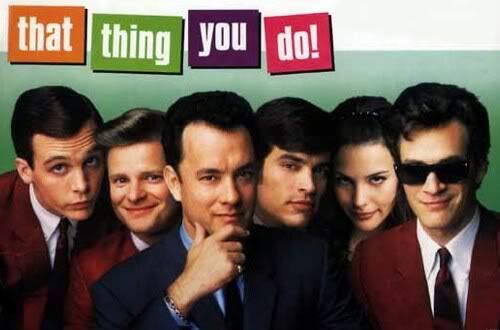 That Thing You Do! is a 1996 musical comedy film written and directed by Tom Hanks. Set in the summer of 1964, the movie tells the story of the quick rise and fall of a one-hit wonder pop band. The film also resulted in a musical hit with the song “That Thing You Do”. Wikipedia goes on to give us a 5-paragraph-long very full plot summary, which you can read here. Or you can read Rotten Tomatoes’ TTYD! review here. Or, for even more fun, you can peruse BuzzFeed’s 15 Neat Facts About TTYD! here. Or you can watch the official TTYD! trailer here. The best part of TTYD! is … well, the whole move is so good at evoking the innocence of youth, faded Polaroids of a time gone by, that there is no one “best” part. The movie features original music by Tom Hanks, Adam Schlesinger, Rick Elias, Scott Rogness, Mike Piccirillo, Gary Goetzman and Howard Shore. 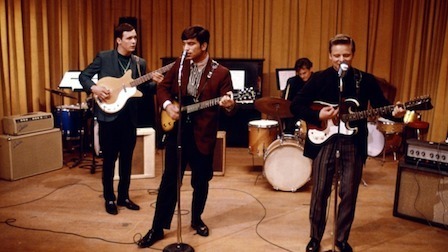 In the movie, The Wonders rise to brief stardom on the strength of “That Thing You Do”, a song written as a wistful ballad but which becomes an uptempo rocker during the band’s first performance at a talent show. Written and composed for the film by Adam Schlesinger, bassist for Fountains of Wayne and Ivy, and released on the film’s soundtrack, the song became a genuine hit for The Wonders in 1996 …. The track was nominated for a 1996 Golden Globe Award as well as a 1996 Academy Award for Best Original Song. Mike Viola of The Candy Butchers provided the distinctive lead vocals for the Wonders. Abq Jew strongly encourages you to click on the musicians’ and actors’ links. You’ll find that you’ve seen the actors in a hundred different roles, and you’ve heard the musicians’ music on a thousand different soundtracks.